Stevens Athletic Boosters – Go Falcons Go! The Stevens High School Athletic Booster Club would like to welcome you to our new website. This will be a great resource for parents to find the most up to date information about Falcons sporting events. More importantly, it’s a great venue to highlight the great athletic program we have at Stevens. School staff, parent volunteers, and students athletes all work hard to make our program what it is and we appreciate everyone involved. Please bookmark this page and check back often. We’ll have more information about specific booster club events, as well as some great action shots of our sporting events. Welcome Parents, Guardians and Students of Stevens High School! On behalf of the John Paul Stevens High School Athletic Booster Club, Inc. we look forward to another great year here at “ welchol cholesterol drug ingredients viagra The Nest”! follow JP STEVENS HS ATHLETIC BOOSTER CLUB PURPOSE: We are a non-profit organization comprised solely of volunteers whose purpose is to provide supplemental financial support to enrich all NISD/UIL athletic programs of JP Stevens High School. go site HOW DO WE DO THIS? FAN SUPPORT! get link DONATE time in concessions, both on campus and at NISD events. proscar doctor spfld ma WHO CAN JOIN THE BOOSTER CLUB? rogaine or proscar pills best results Membership is open to all interested persons over eighteen (18) years of age and not a student at JPSHS. follow link WHO CAN VOLUNTEER AT EVENTS? All are welcome, no experience is necessary. Students are eligible for volunteer hours! Uncategorized Comments Off on Facebook Name Change!!! 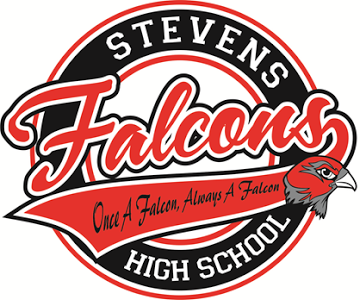 Stevens Athletic Booster Club New facebook page name, https://www.facebook.com/JohnPaulStevensHighSchoolAthleticBoosterClub/ Please like/accept so that we can continue to do our best and get you all of the latest info on our Falcon Athletes! Thank you for all of your continued support!! !